In a report read before the session of the House of Representatives, Nasir Ali Shire, the chairman of the Committee, said millions of public funds were stolen by government officials including the former Minister of Transports, Ali Hasan Mohamed, also known as Ali Mareehaan. The chairman stated that money was stolen through dubious projects including putting green carpet in a football stadium in Las Anood, the administrative capital of Sool region. The records claimed that the carpet cost USD 182 thousand, which is not possible, according to the Committee. USD 7.5 million were claimed to be spent in buildings that do not exist or with inflated prices to steal money, the Committee said. USD 1.5 million were said to be used to build a prison Burao. But the prison is still not finished and such money is not invested in it, the Committee claimed. The chairman detailed hundreds of thousands of money that is being taken away in projects all around the country. For instance, the Committee alleged that the Ministry of Livestock has been given money to buy a laboratory, which it has never done, and the money is not accounted. 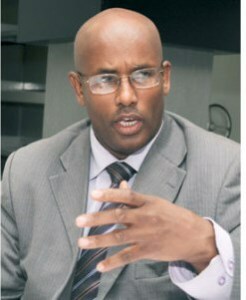 The stolen money includes USD 194 that was intended to build Shulac Football Stadium in Hargeisa. The Committee called on the Attorney General to carry out investigation.